Are they good brownies? Sure. I liked them, and so did my friends. Are they the best brownies I've eaten? Surely not. Some blogs I read said they would get better after 24 hours, but the brownies didn't last long enough for me to test that. But now that I've made my first good brownie, I am on a lookout for the "best" brownie recipe. Any suggestions? Looks great! Which chocolate did you use? 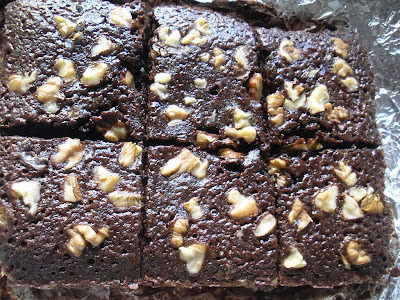 My gosh Simran you know how to tempt ppl!..I love brownies..
See that's why I don't go there. If I bake brownies, they don't last at all. But now you're tempting me. You could try the ones from Amy's Bread. I love those, planning to make and post them soon!! You could see pictures, and read reviews then! !